Those are very powerful controls and you can achieve a lot just by using them. And there is certainly a lot to discuss. But, after playing with Canvas apps for some time, I’m now realizing that it would be really helpful from the beginning if my initiation into the Canvas apps happened differently. Imagine this futuristic scenario: you had never driven a car, and, then, you got one which has an autopilot, so you don’t even need to know how to drive it – you just need to tell it where to take you. You are happily using the car, it’s taking you where you need to go, but, then, you start noticing that there are cars around which are doing some fun things.. They can go faster or slower, they can really maneuver, and there are people in them apparently doing something when all you can think of doing is just sitting in the chair. Oh, wait.. can these cars actually do more somehow? Did you miss something? What happens if you turn off the autopilot? I sort of had to rethink my understanding of the canvas apps. 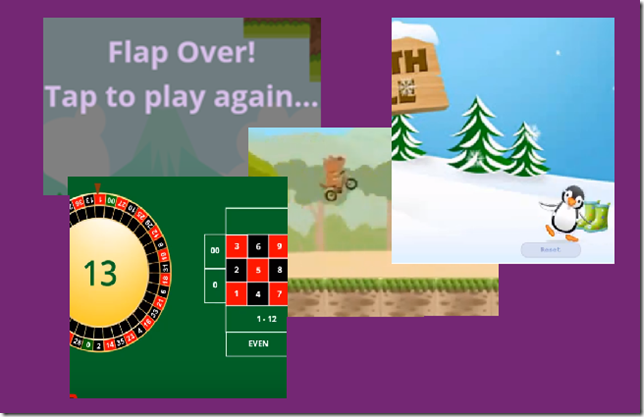 It’s probably still not quite complete, but there is one thing I’m pretty certain about – there should be an alternative learning route, which is “from bottom up”. That said, all the information is already available there, it’s more a question of looking at it in different order. Let’s see, then, if I can map out that alternative route by asking some questions and providing relevant links for the answers. 1. What are some of the main Canvas Apps concepts? There is no classic coding – don’t even try to reuse your .NET development skills. And no, code libraries cannot be created in the Canvas Apps. There is a set of controls you can use on the screens. Among other controls, there is a timer control, a text box, a label, and more. In the function calls, you can only set values for variables and collections, but not for the controls. BUT you can source control values from variables. 2. What are some of the operations you can do with external data? You can use a few functions, such as Patch or Remove, to manipulate data in the datasource. 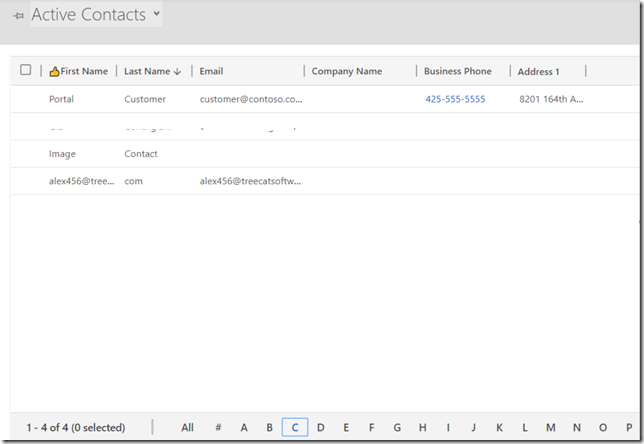 You can also use functions like Filter, Lookup, or Search to query data from the datasource. 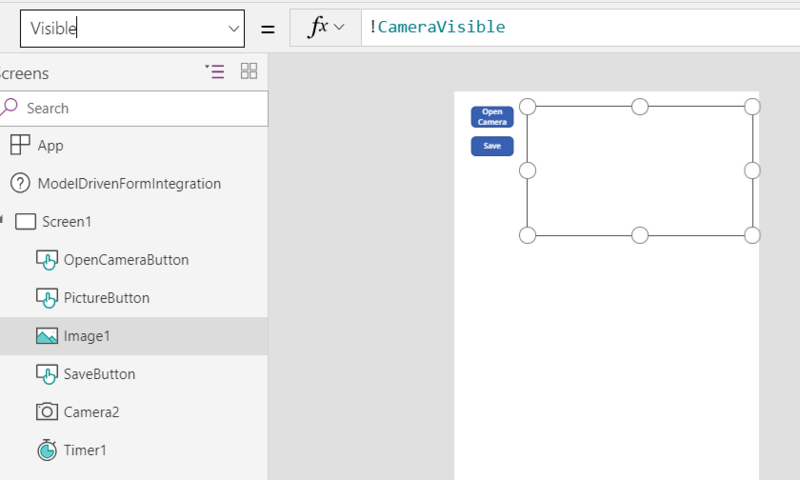 You can do it all wherever you want in the Canvas App as long as you can call a function in that place. 3. Where can you call a function? 4. How can you use variables? And, then, we would use Set or UpdateContext call to update that variable somewhere else. Update value will automatically apply to the control, too. 5. How do you navigate between various screens? 6. Do you have to use Gallery or Form controls to create a Canvas App? 7. So what am I trying to say here? 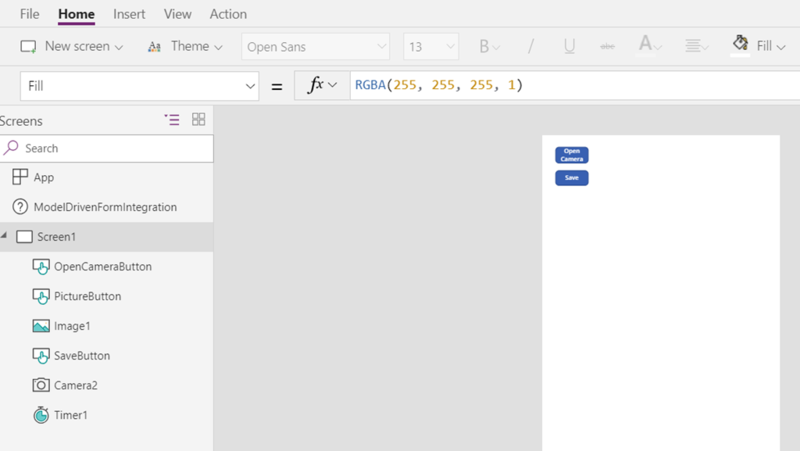 Compared to many other folks, I’ve only done very little “development” with Canvas Apps so far, and, really, I’ve started once it turned out we can embed those apps into Dynamics forms. 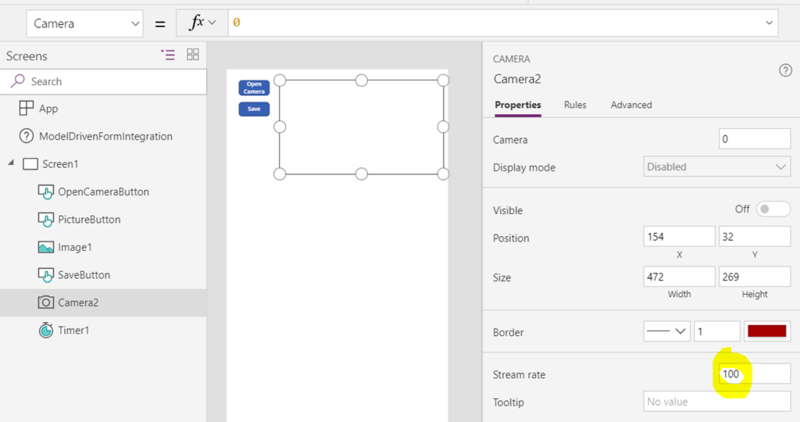 But, when I first tried to do a Canvas app, I was thinking in terms of Gallery and Form controls I mentioned at the beginning. They are very useful, indeed, but they are imposing certain structure on your application, and I doubt I’d be able to do what I wanted to do if I just stuck to them. For example, my recent Photo ID prototype is not using either of those controls, and, yet, I can still manipulate the data easily. 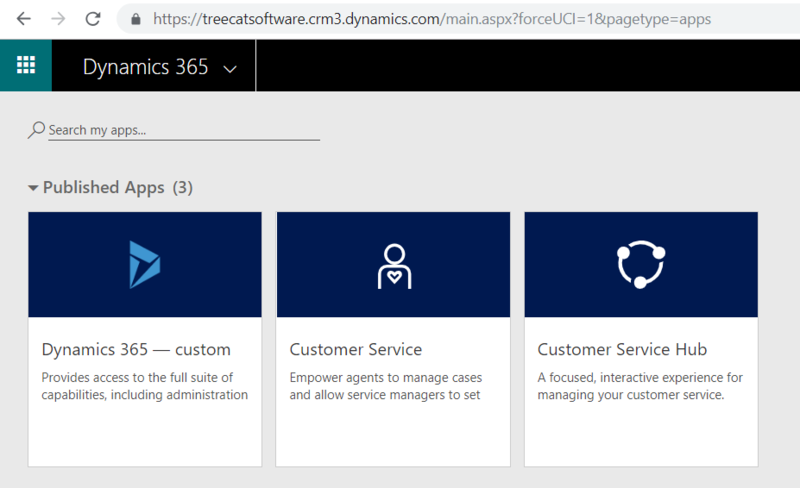 Why do you see what you see when you log into Dynamics through the root instance url? The answer is not “because it is what it is”! There is certainly more to it. 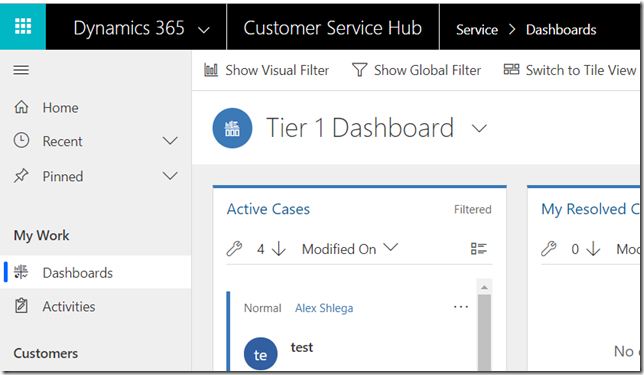 This use is supposed to see Customer Service Hub (Unified Interface) and Customer Service (Web)applications. 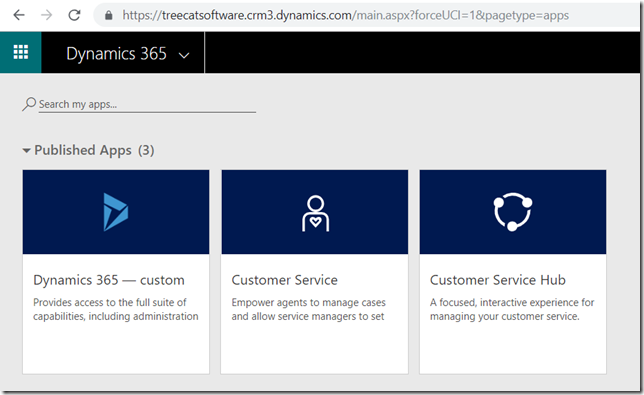 Plus there is that default web application which is normally called “Dynamics 365 – custom” and which is usually available to everyone. Can I make it so that my new user lands directly in his/her application instead? Anyway, let’s do it (using the admin user of course). 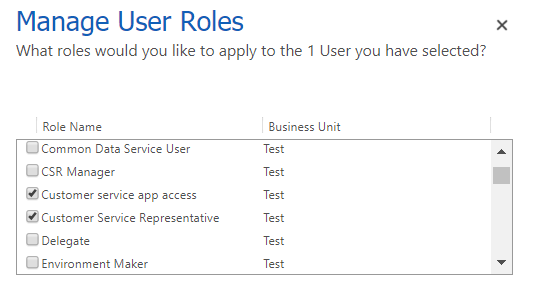 And let’s also remove permissions from the “Customer Service App Access” role for the “Customer Service” web application. Might not be an eye opener, but might still be good to know if you are trying to set up default application for those users who will only have access to one app. 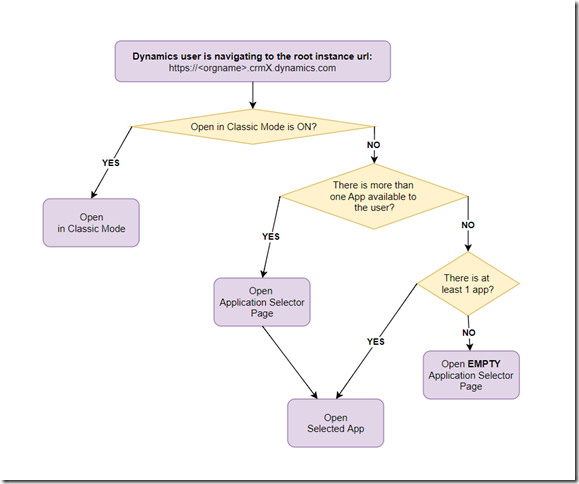 Before you continue with this one, you may want to do some reading on how embedded canvas apps can be added to the model driven apps. What if I wanted to store file data somewhere else? 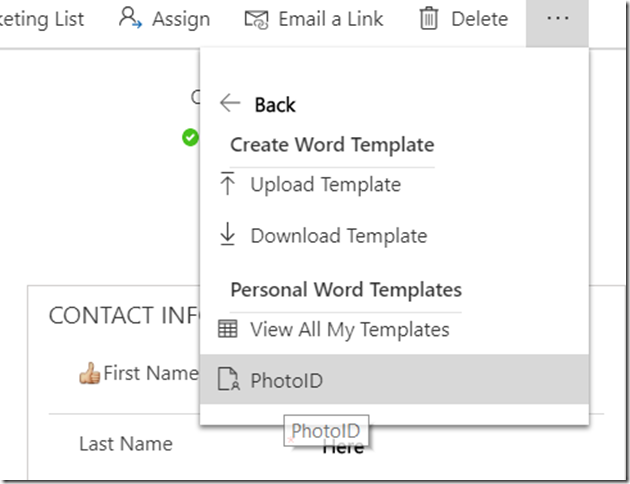 Technically, the problem is not so much where to store it, but whether I can easily use those stored images in the Word Template (or in the SSRS report), since, in the end, I’ll need to produce a printer-ready “photo id”. Either way, at this point I did not want to mess with Sharepoint (have a look here: https://blogs.perficient.com/2018/10/08/store-powerapp-camera-photos-in-sharepoint-or-onedrive/ ), so I figured I’d take the easy route. I am assuming you know the basics of creating an embedded canvas app by this moment (if not, have a look at those links above), so I’ll spare you from those details. As I mentioned in the other post (see those links above), when working with the Base64 images in the Word Templates, I have to remove that data:image.. prefix. That’s exactly what Substitute function is for. 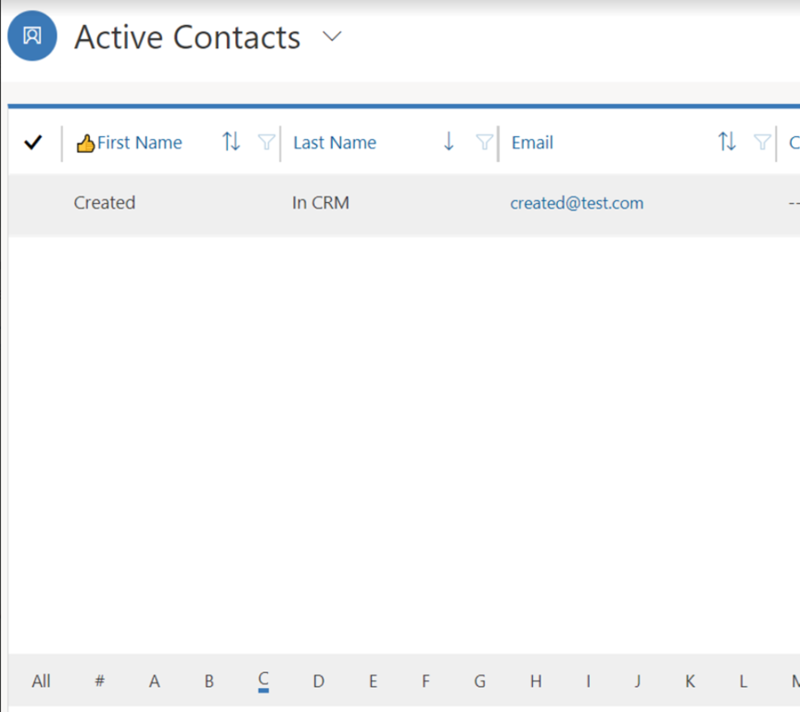 And, then, there is a Patch function that’s updating a record in the Contacts data source. I have added that one to my canvas app separately so I’d be able to update the contact record. If you ever tried creating a printer-ready screen in Dynamics that would, among other things, display a Base64 image stored in a field, you might know the feeling. I did not know that was the problem – for that matter I did not even think twice about that part. Short version – just remove that data:image/gif;base64 from the string. 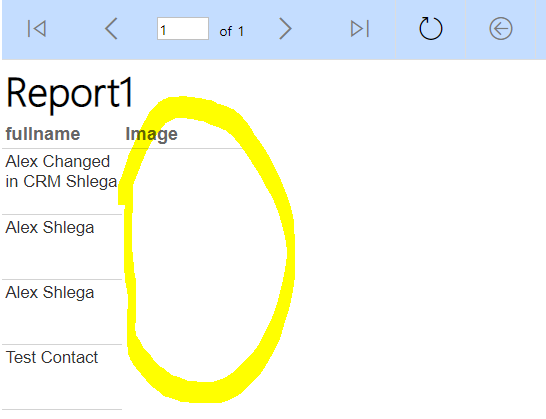 Picture content control in the templates does not seem to understand that prefix. 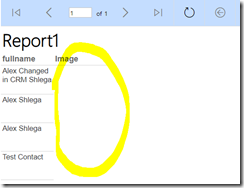 That took care of the Word templates, though I am still unable to display those images in the SSRS report. Well, I can actually display them in the Visual Studio when previewing the report, but not directly in Dynamics for some reason. 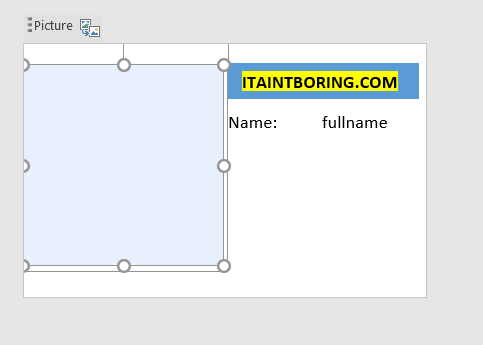 Well, that’s enough of hair pulling for now, and I can get back to wrapping up my PhotoID prototype – will be using a Word Template for ID printing. It would be a challenge these days to find a single person who does not have any picture id at all. Driver licences, health cards, passports, access cards.. Those id-s are everywhere – I probably have to carry at least 2-3 every day, and there are a few more I have to carry occasionally. All these id-s are always linked to the clients/contacts/employees/citizens – basically, to the individuals. So it’s not, really, such a far-fetched scenario for an organization (private or government) to come in and say: we have Dynamics, we have records of all those individuals we are working with stored in Dynamics, can we use Dynamics to issue photo-ids? The answer is probably “yes”, but this functionality does not necessarily come right out of the box. The first scenario has always been available, and there is probably a whole range of possible solutions. 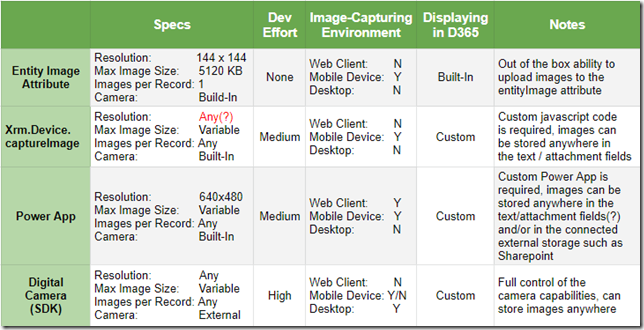 SDK scenario does not necessarily fall into the “native capabilities” category. 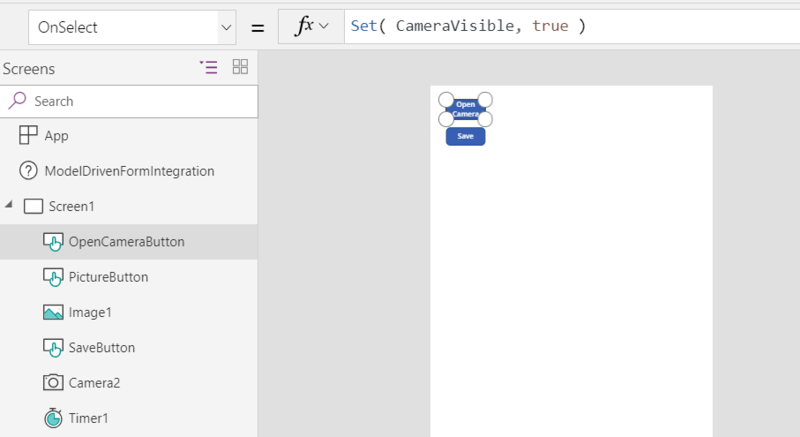 But, technically, one might create an HTML5 snippet, embed it in the model-drive application form, and use the camera that way. Or, possibly, one might create an ActiveX control. Or a custom mobile application. The other 3 are, really, “out of the box” though each of them comes with a few caveats. 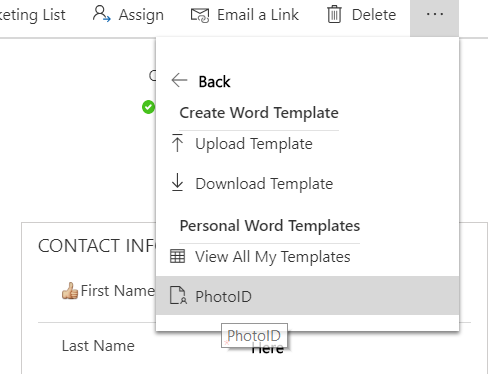 Entity images (https://docs.microsoft.com/en-us/dynamics365/customer-engagement/developer/image-attributes) won’t really work for the “photo id” scenario. There is size limitation (144×144) which makes them good for the small avatar-type of images, but they are not good at all for the id-s. However, there is nothing you need to do to make them work.. Just open Dynamics on your phone, open the contact record you want to update the image for, click on the image, and the camera will start. 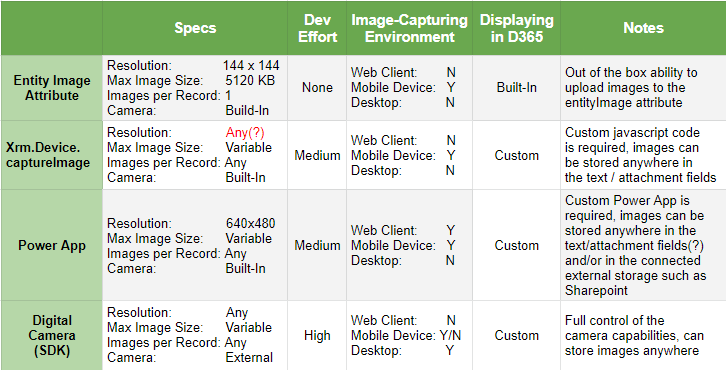 The next in line is Xrm.Device.captureImage (https://docs.microsoft.com/en-us/dynamics365/customer-engagement/developer/clientapi/reference/xrm-device/captureimage) This one would work fine if it were available in the web client, and it’s not. 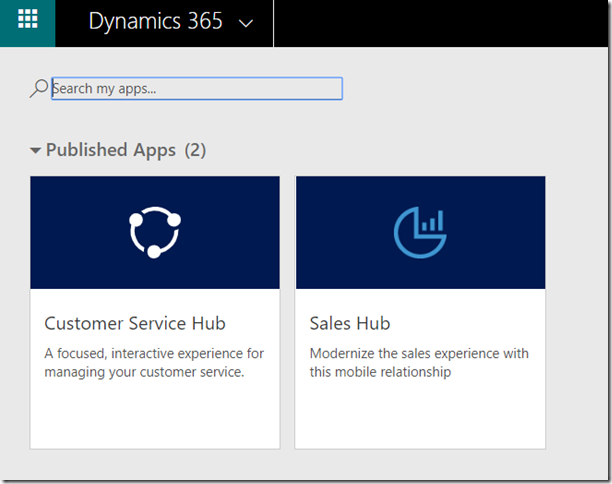 What about the Power App approach? Actually, it works just fine. There is that limitation on the image resolution, but it might be ok for the photo ID applications. Not that bad for a couple of hours of work? 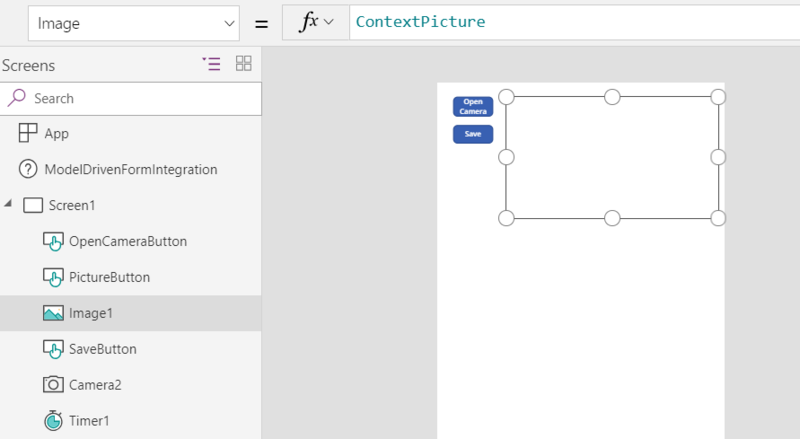 Well, of course ignoring a day or two it took to figure out how to make it work:) And I will explain how this screen was implemented in the next post..
Canvas Apps: a context variable vs a global variable – who wins? Yesterday, I was scratching my head trying to figure out why a value I stored in a variable was not displayed correctly in the text box. Interesting, by the way, that context and global variables can have the same name without causing an error. But, if you were to guess, which value do you think would be displayed in the text control in this scenario? The answer is – it’s the context variable that’ll be displayed there. Why? 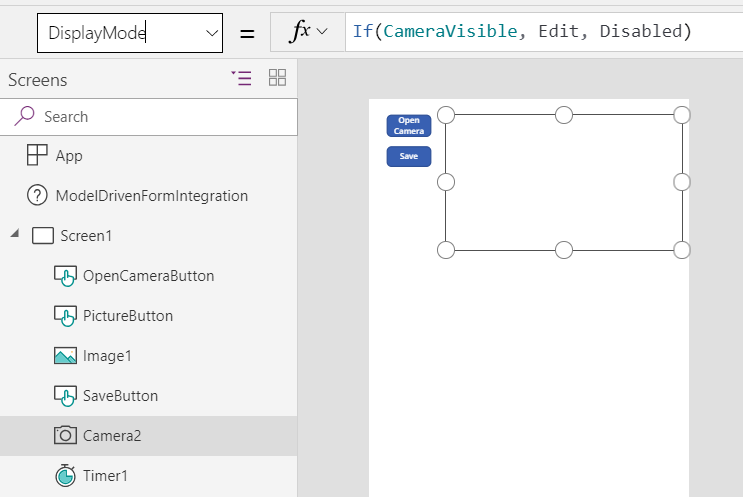 Quite frankly, I may not be able to explain what’s happening behind the scene in the Canvas Apps.. Would be great if we could debug them somehow But the best intuitive explanation seems to be that context variables are “closer” to the place than global ones, so I’ll just stick to that. The end result, though, is that this whole scenario is not extremely obvious. There are no warnings, there are no errors.. everything is supposed to work, but it does not, and you are getting a wrong value (or, worse, an empty value) from a variable. Well, if you find yourself observing those symptoms, check the scope of your variables and make sure you are not mixing global and context scopes. It might be exactly the problem. Things have changed, though, and Dynamics is now part of the huge online ecosystem which goes far beyond Dynamics or PowerPlatform. There are different concepts, principles, applications, and technologies involved there, and it’s almost impossible to know all of them. However, and this is where that love-hate cliché comes into play, if you are working with Dynamics these days, you are almost inevitably getting exposed to the other parts of this ecosystem. Besides, XrmToolBox and some console applications (which were using SDK) were connecting just fine to the Dynamics instance hosted in another tenant. Have I mentioned that it was all working yesterday? 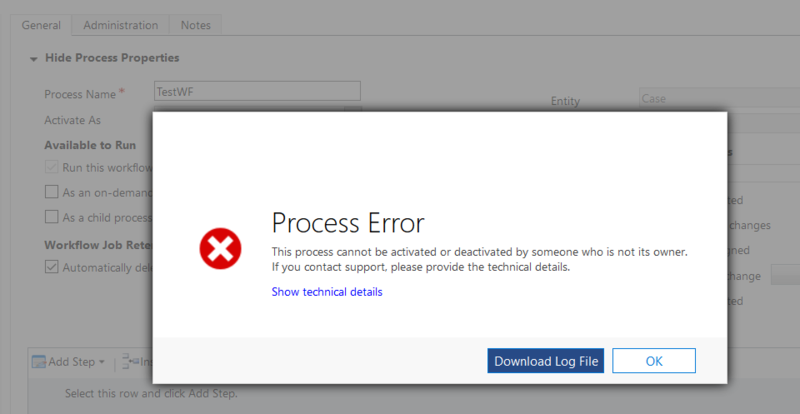 Having done a few more tests, we decided that it’s probably Office365 authentication that was not working anymore. But why? Of course there were voices claiming Microsoft did a silent update.. 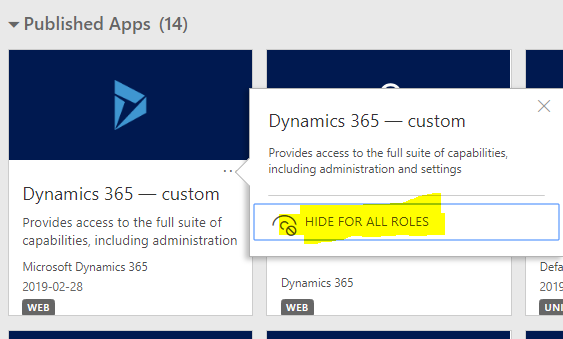 This is where I should probably clarify that it is a relatively big environment, and not everyone working with Dynamics would have global administrator permissions. In other words, we don’t always know what’s happening in this tenant outside of Dynamics. 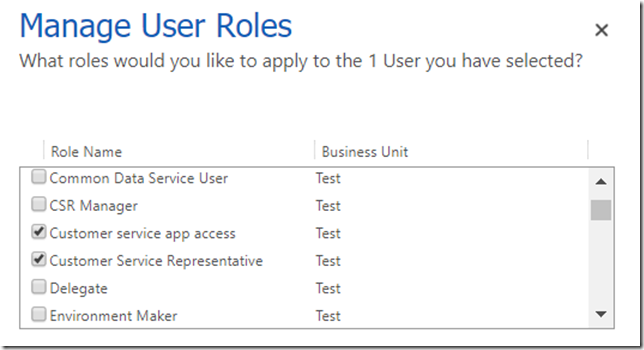 Turns out there are settings in the Azure Active directory we did not even know about. 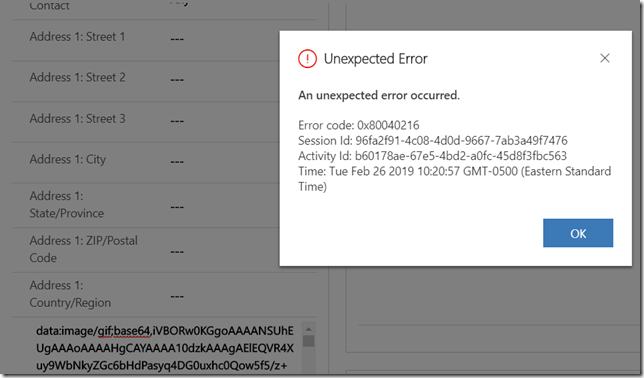 They were updated the night before by the tenant admins, and that affected our ability to use Office365 authentication. 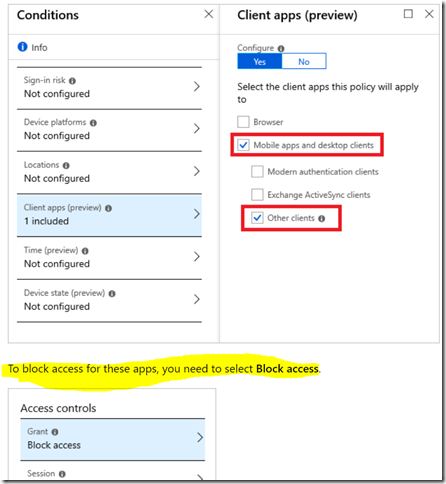 Yes, it turns out that it’s possible to disable Office365 authentication through the conditional access policies in the Azure Active Directory. Once required exclusions were added there, everything went back to normal and we had XrmToolBox and other tools are working now. And the takeaway? Well, just keep in mind that Office365 authentication falls into the category of legacy authentication methods, and, so, it can be disabled through the conditional access policies. 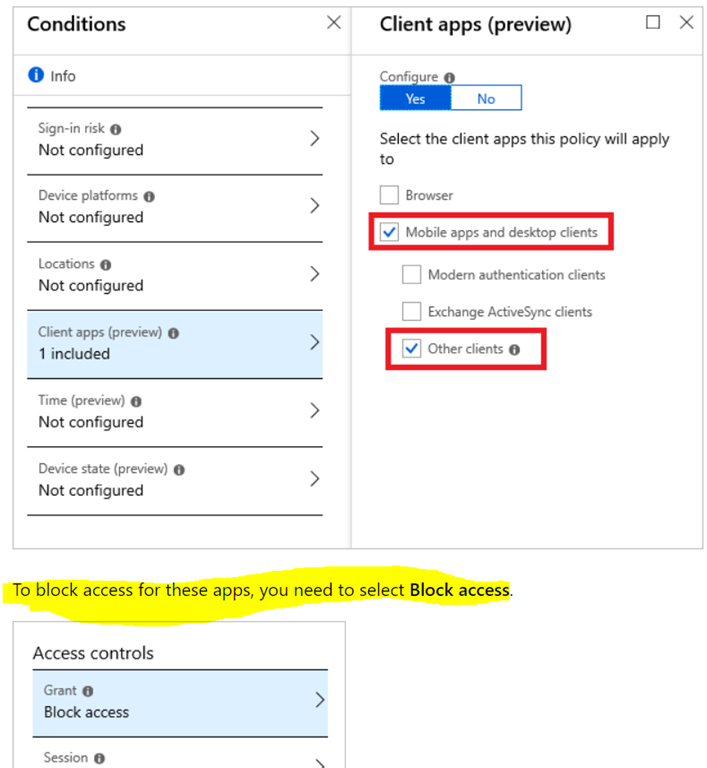 So if you want it to work for the time being, and if you have conditional access policies set up as per the link above, you’ll need to make sure those policies implement all required exclusions. PS. 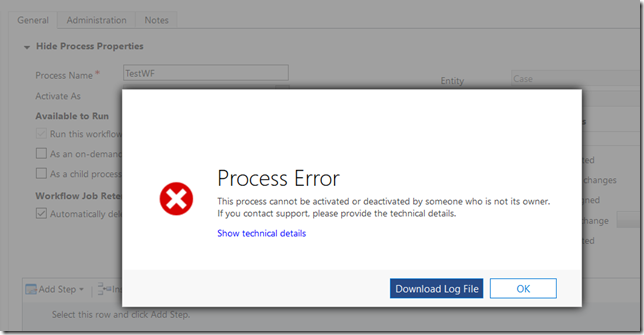 Why did we have to use Office365 authentication in the first place? Normally, we have multi-factor authentication enabled for the users. 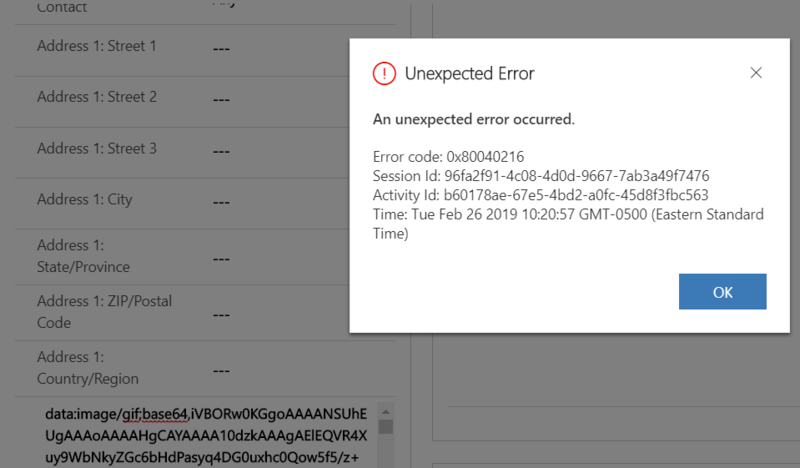 So we were looking at how to bypass the MFA for our tools(would not be very convenient if we had to go over the MFA process every time we wanted to prepare a nightly build, for example), and it turned out Office365 authentication ignores MFA. Which is, probably, one reason it is considered “legacy” from the policy standpoint. 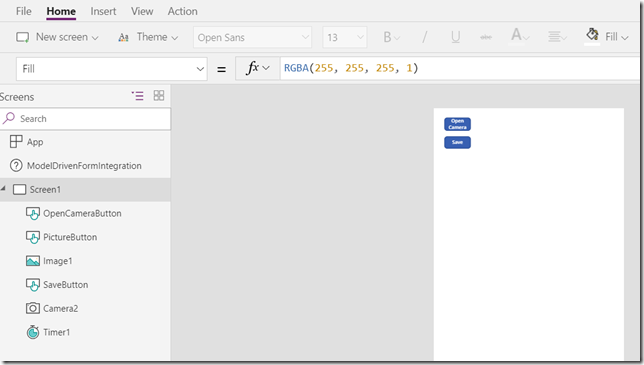 When you are working with the grids in Dynamics, the last line shows up as a list of letters from A to Z, so you can click one of the letters and that will quickly apply a filter to the grid. What kind of filter, though? After some digging around earlier today, it turned out the answer depends on whether you are using Unified Interface or whether you are using Classic Interface. This means the behavior is slightly different between those two interfaces, although, it’s probably not such a big issue. Unless you are used to the way alphabetical filtering used to work before, you just need to know how it works in the Unified Interface since that’s the one to stay. Besides, it may actually be a more straightforward approach. 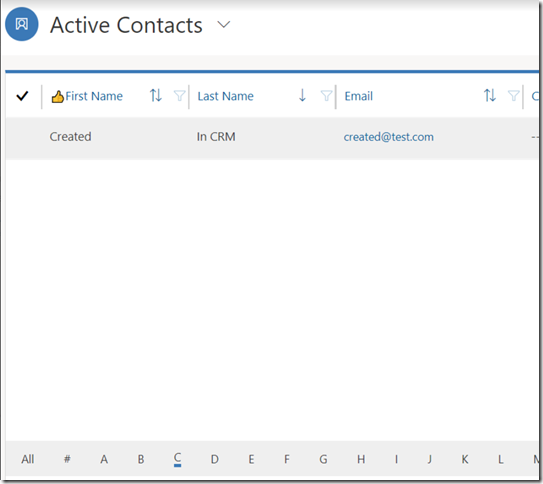 When sorting is applied to multiple columns in the grid, alphabetical filtering becomes a bit confusing since it only applies to the first sorted column, so it’s just more nuances for the users to keep in mind. 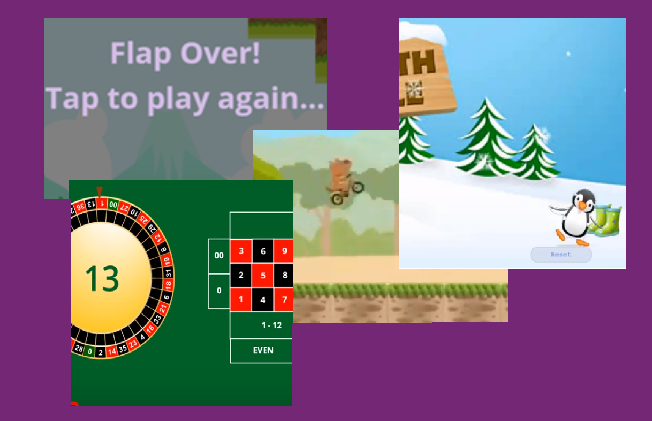 Added on Feb 15: but what about the screenshot below? It seems what’s really happening is that Unified Interface applies filtering on the entity primary field, even there is no column for that field in the grid. Well.. Wondering if there is still more to it. Actually, I remember having seen this error before. As in, a few years ago it would be normal to see it. Then it went away somehow, so, normally acting as a System Administrator, I have not seen it for a while. Apparently, what we saw this time had something to do with the permissions granted to our non-interactive account – it was set up as System Customizer.